Currency is the most important economic entity of a state or a region. It dictates the price of commodities traded in that region. Countries with a stronger economy have a higher value of their currency as compared to the rest. With an increase in globalisation of the trade, the significance of currency is on the steep rise. But the presence of different currency in different countries/region is a prominent limitation to the booming trade. The introduction of forex trading is an efficient existing solution to this problem. Forex is a place where trading of various currencies occurs. The demand for increasing global trade efficiency and growth of international tourism has made forex market the largest and the utmost liquid financial market worldwide. Forex market overshadows even the stock market in size with an average trading worth of around US $2,000 billion per day. The important feature of forex trading is that it has no centralised marketplace in existence. The whole international market system is online network based, where trading is done electronically Over The Counter (OTC). The major financial centres in London, Paris, Tokyo, Zurich, Frankfurt, Singapore, New York, Hong Kong, and Sydney fuels this international market. Thus, its presence across these cities gives the existence of the market across 9 time zones of the world. This enables trading 24 hrs a day round the clock. At present spot market is the most popular way for forex trading. This is due to the fact that at present, the electronic network facilitates forex trading. In spot market current price of the trading, currencies are the deciding factor. 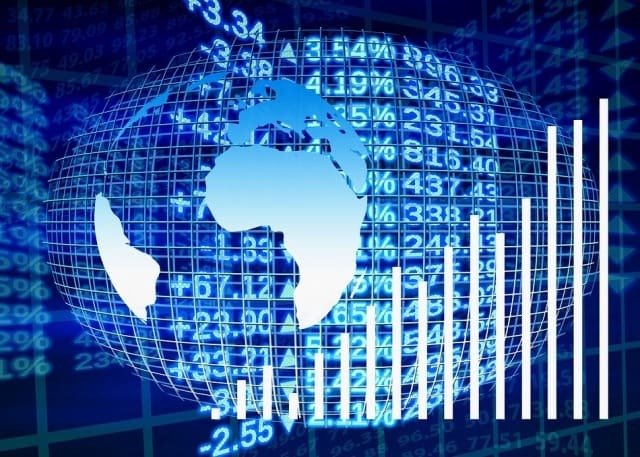 Determination of this price requires analysis based on supply and demand, which in turn depends on factors like economic performance, current interest rates, sentiment analysis of local and global political situations and future performance comparisons between the currencies involved in the forex trade. The bilateral deal is then initiated between the two-trading party. One party delivers the currency amount as per the deal and receives another currency as per the exchange rate value in the deal. This transaction is in cash and the spot market takes two days for settlement of such 'spot deals'. The forex brokers dealing in such trade is also one of the reasons for the high demand of the spot market as a trading market for individual investors and speculators. There are various dedicated sites for such trading where the brokers provide full details about their specialisation. For example, Online Forex Brokers Directory is an all in one platform for accessing the details and contact authorised forex brokers across Australia. The platform of forex trading is under the regulation of the government by law, that ensures customer protection but there is no such severe restriction to it. But there are some restrictions to it limit credit card deposits. For example, in Australia, the only legal limit set by the ASIC, the Forex regulatory body of Australia, is the trading limit restriction in credit card deposits to $1,000 while opening a trading account. Other than that, there is taxation in the forex trading as an earning source similar to equity or other investments. The forex trading market has high financial liquidity as a result of which the investors have the ability to place large trades without affecting any given rates. These large trades are made available to the traders because of low margin requirements. This means that the user can trade in large capital while contributing money as low as one-hundredth of the total sum and borrowing the rest sum from the forex brokers. Such flexibility has its own benefit and loss. If the trading rates are on the positive side then the user can make gains by a large margin. Conversely, the risk of incurring a heavy loss due to lowering trading rate is also present. Despite such risk, the level of leverage such trading provides is lucrative to investors and speculators. The flexibility of trading time is also a big advantage. Since the trading market has its presence across 9 different time zones of the world, it makes the market practically available to customers 24x7. This means that trading in such a market is possible side business opportunity supporting the mainstream professions. Becoming a successful forex trader requires to follow planning and precautions. To be a professional trader one must aim to shift to live account from demo account, after starting forex trading. This provides more grip on one's trading. Having a positive instinct is a must and emotions should be firmly kept at bay. Every forex trader must keep in mind that trading includes losses and all traders have to face it with no one as an exception. Earning profit should be the primary focus of the trading and one must refrain from trading to compensate losses. The traders must be well aware of the various geopolitical scenarios and economic conditions. Volatility due to large leverage will always exist in this trade. So, one must properly chalk out an investment plan and abide by it. There are many trading strategies related to forex among which currency carry trade is common. In this strategy, the trader sells a currency having lower interest rates and purchases a currency having a higher interest rate. Knowledge about the rates of various currencies is a must to understand the difference between the currencies in trading. Volatility due to higher leverage is evident in such a trading. Even though forex trading comes with huge opportunities, one must be careful while starting in the beginning. Verification of the brokers is a must to avoid falling in any traps. Scams are widespread in such trading and one needs to be alert and well aware of what is happening around. Hence, integrity must be upheld and greed should be kept at bay to achieve fruitful returns. I hope you enjoyed this blog post about how to trade foreign currency and how to make money trading forex. Interested in more articles about forex and market investments?